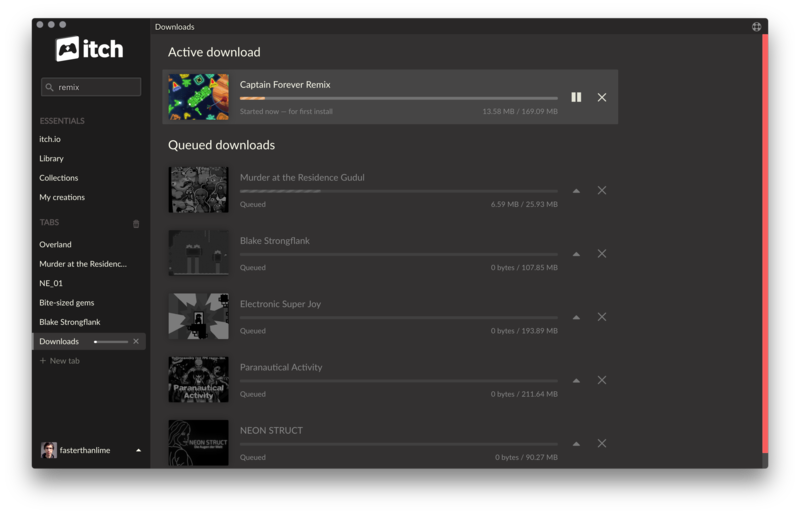 The goal of this project is to give you a desktop application that you can download and run games from itch.io with. Additionally you should be able to update games and get notified when games are updated. The goal is not to replace the itch.io website. You can download it from https://itch.io/app, see Installing the app for detailed instructions. If you&apos;d like to develop the app instead, read the Getting Started page of the developer guide. itch-setup is the installer program for the itch app. It&apos;s a Go executable that runs on Windows, macOS and Linux, and downloads the latest version of the app directly from https://itch.io. 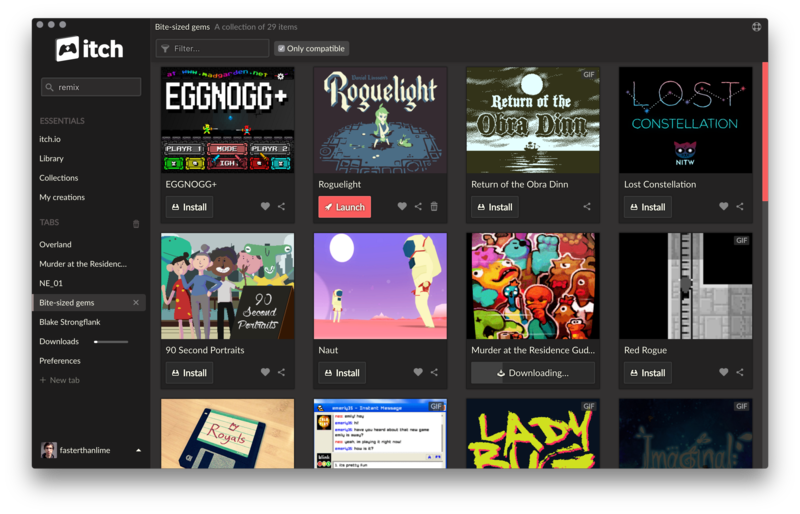 broth is maintained by itch.io employees, and serves various packages related to the itch app. 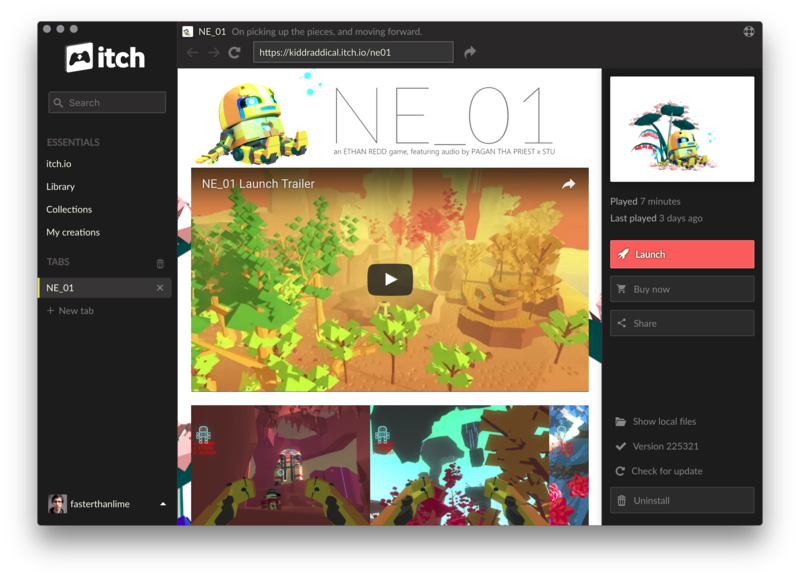 itch is released under the MIT License, see the LICENSE file for details.